Stanislav Ćano Koprivica was born in 1929 in Koprivice, near Nikšić. Anica Maja Boljevic was born in 1967 in Podgorica, where she finished elementary and secondary school. In 1993 she graduated from the Faculty of Philology in English Language and Literature. She is studying for a Master’s at the Faculty of Economics in Podgorica in the Department of Organizational Management. 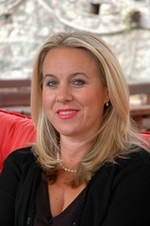 Since January 2008 she has been retained as executive head mistress of the Fund for Active Citizenship (fAKT), Podgorica. Membership of the National Youth Council, a corporation in charge of monitoring and supporting implementation of the National Action Plan for the Youth of Montenegro (August 2007 – February 2010). Membership of the Coordination Board for the draft of the National Action Plan for the Youth of Montenegro (July 2004- September 2006). She is a teacher of literature and an author. She was born on 16 July 1956 in Metkovici. She graduated and received her Masters’ degree in general literature and literary theory at the Faculty of Philology in Belgrade in 1980. She has three children – Vladimir, Jelena and Jana. 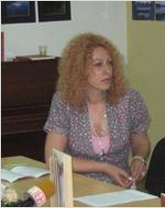 She is a teacher of literature and media literacy in the “Danilo Kis” Secondary School. She practices scientific work in the area of literary theory and film, literary criticism and the methodology of teaching literature and media literacy. She is the winner of the “Oktoih” national award and the November prize of the city of Budva, both, and primarily, as a teacher. She is the president of the NGO “Za bolji grad” (For a Better Town); for several years now she has been a member of the executive boards of FOSI and the Council for General Education. She is the author/co-author of books such as: "How Budva Dreamed of the Mediterranean", "The Temptation of Film"(with her husband Mato Jelusic), "The Mythical in Lalic’s Novels" and "Learning to Change", readers for 1st to 4th grade of high school; she is a columnist in the daily newspaper Vijesti. She speaks English, but also uses French and Russian. She is a board member for the allotment of the Iskra Award for Philanthropy. Marijana Cerovic was born in Niksic, where she completed elementary and secondary school education. She studied English Language and Literature at the Faculty of Philosophy, also in Niksic. She received her Masters’ degree in Applied Linguistics in 2002 at Cambridge University (UK). 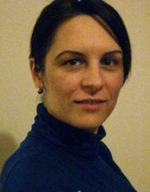 Having been granted a Postgraduate Dorothy Hodgkin Award, from 2007-2010 she did her doctoral studies at University of York, UK (Communication studies). She got her first, one year’s work experience working as a teacher of English at the Secondary School of Economics and Catering and has ever since worked as a teaching assistant at the Faculty of Philosophy in Niksic. Marijana’s primary interests are language and linguistics, particularly the language produced in real-life situations and its analysis. 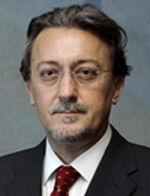 Veselin Kljajic was born in 1964 in Bijelo Polje, Montenegro. He graduated, receiving both his Masters’ degree and PhD in Journalism at University of Political Sciences in Belgrade, where he currently teaches: Journalism in the Press, Research Journalism – the Press, and Public Relations. He has also taught Analytical Journalism, Introduction to Journalism and Techniques of Journalism. He has also been teaching at the main university since 2007, in Postgraduate Journalism Studies, in the subjects Journalistic Documentary Forms in the Press, and Editing Media – the Press. He also taught at the Department of journalism at the University of Philosophy in Banja Luka, at the Faculty of Dramatic Arts in Belgrade, the Faculty of Musical Arts, the Academy of Fine Arts and the BK School of Journalism. He is the author of a bilingual monograph "The Boka Kaleidoscope " and the book "Interviews in the Press, in On-line Magazines and on the Internet". He is the youngest winner of the October Award for Journalism. The journalistic career of Dr. Kljajic has lasted almost continuously since 1982. From 1994 to 2004 he edited and wrote the column "Personalities and Style" for the magazine "House Style" (interviews and features). He worked for ten years at Radio Belgrade (on Radio 1 and 2 and for a documentary drama programme). 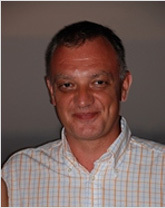 From 2004 to 2005 he was programme executive of the Montenegrin weekly "Monitor". He is a member of the "Politicology" magazine advisory board, deputy editor-in-chief of the magazine "Culture". On radio, he had made more than 30 special reports, 6 documentaries, 5 feature documentary dramas and many contributions (there is no precise file report in the archives). 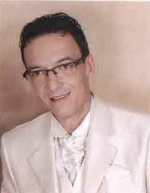 Dr Veselin Kljajic published over 300 interviews, features and special reports (over 4,500 articles) in the press.